Somewhat of an unusual choice of mascot, the bee is Amorphis‘ call to arms for their brand new album Queen of Time. Working on a variety of levels, the albums title first and foremost refers to our arthropods and their necessity to carry on life as we know it. Potentially one of the most expansive offerings from the band to date, Queen of Time melds ideas from a symphonic palette coupled with their Melodic Death Metal heritage to create what could be their most ostentatious output to date. Featuring guest appearances by Dutch vocal legend Anneke Van Giersbergen and a flute performance by Eluveite’s Chrigel the album moves from sweeping soundscapes on “Wrong Direction” to cinematic aplomb that is “We Accursed”. Prior to the album’s release I was very lucky to be able to sit down with both Tomi Joutsen and Esa Holopainen to talk all about Queen of Time and just what it meant to the two of them. Watch the full video interview below! 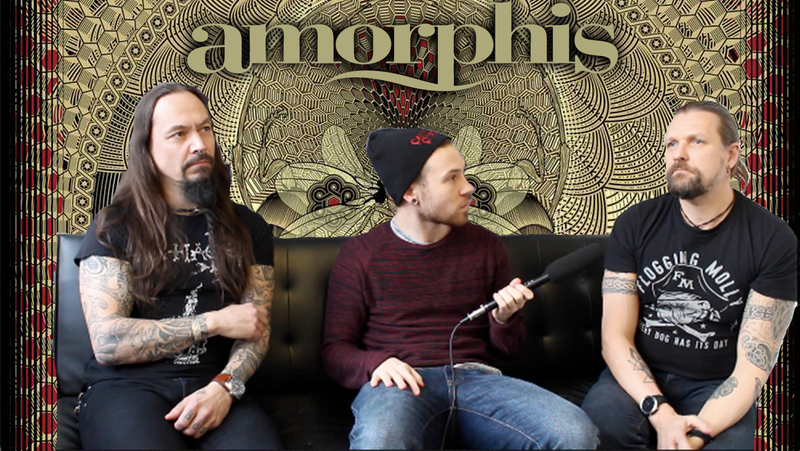 Amorphis’ spectacular album Queen of Time is out right now via Nuclear Blast.